When we planned on writing a blog about The Millbrook in the quaint village of Southpool we were thinking about a gentle introduction to the new landlords (who are incredibly likeable, creative and ambitious) and an overview of all that we love about the pub. But what happened on Thursday afternoon has superseded that angle, and in our opinion has been both devastating and heart warming at the same time. At a time in history when we are being divided on the subject of the EU, we have seen our best bits shine through adversity – community, friendship, survival and generosity. 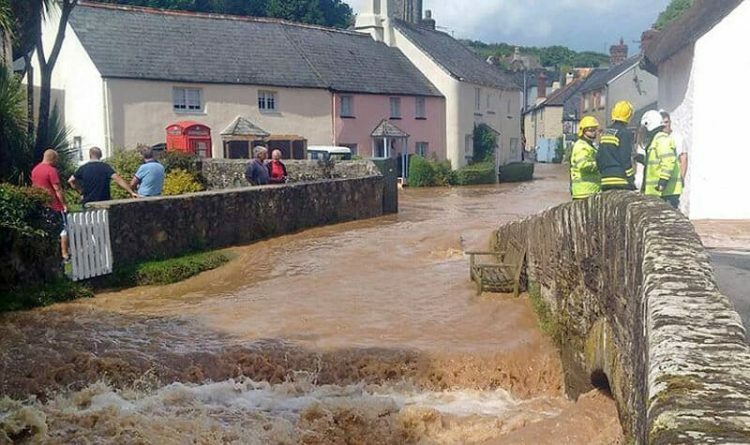 Very localised heavy rainfall produced dramatic flash flooding in the village of Southpool. The gentle bubbling brook developed into a raging torrent and lunch service was rudely interrupted by fast-rising water levels. As the Millbrook team rushed to save the kitchen, the furniture and bar, the water came over the top of the flood defence gates and they were 1m underwater. This is a mere three weeks into Charlie and Tess Baker taking over the pub; their new baby plunged into brown murky water with no insurance to back them up. Whilst the stress and damage cannot be underestimated, what an opportunity to show Charlie and Tess the strength of the community around them and the support for this iconic pub. The community pulled together to get the business back up and running in under 36 hours: online forums shared knowledge about access to sandbags. The Coastguards helped put those sandbags across doorways and windows. Local business owners, villagers, holiday makers and tradesmen gave their assistance for free. Offers of fridges, heaters and storage were given. On Friday morning a wave of helpers arrived to bleach all that the water had touched from walls to fireplaces to behind the bar. Electrical sockets were emptied of water and replaced. The kitchen was put back together and bar items salvaged. And we witnessed a French chef making mugs of tea. For those that know the Millbrook, this gem of a pub is in good hands and your continued support will be hugely appreciated following the floods. If you don’t know it, the pub is a short boat ride away from Salcombe up an idyllic creek to a village that has stepping stones, is host to a beautiful bevy of thatched cottages and is surrounded by heavenly countryside. The pub has oodles of character and serves delicious food – definitely one for the Salcombe bucket list.